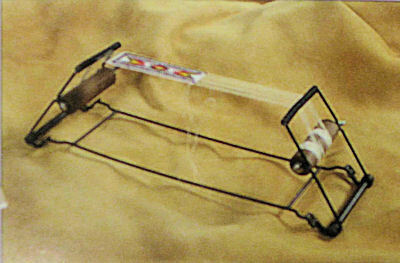 This folding beading loom is designed for use by both beginner and advanced bead workers. It includes needles, thread, and enough seed beads separated by color to complete the project shown in our included step-by-step instructions. Instructional color photos show the weaving process from the viewpoint of the beadworker. Weaves up to a 2.5" wide strip.